For over thirty years Eugene Linden has traveled the world researching his books and writing for National Geographic, Time, and many other publications, on nature and the environment. While these trips were prompted by diverse writing assignments, all were informed by a singular hunger: a desire to see the places where modernity and tradition collide. 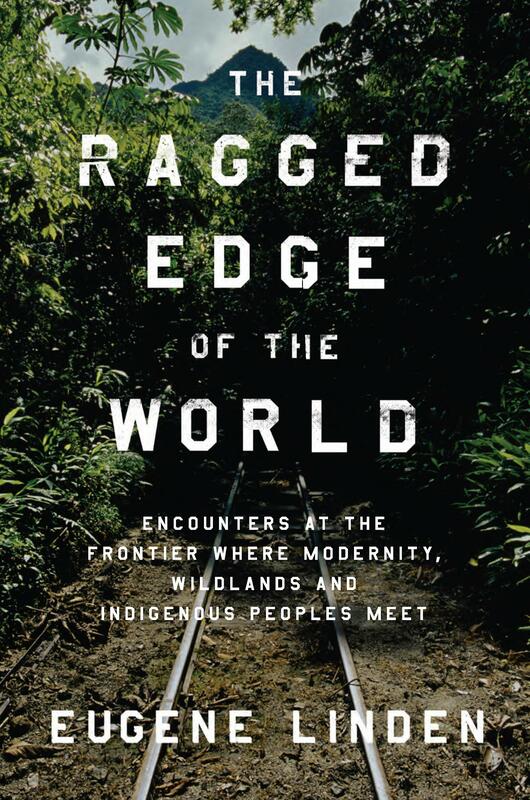 In his book, THE RAGGED EDGE OF THE WORLD: Encounters at the Frontier Where Modernity, Wildlands, and Indigenous Peoples Meet (Viking; $26.95; 256 pages; ISBN 978-0-670-2251-9; On-sale March 21, 2011) award-winning author and environmental journalist Linden puts a human face on globalism by examining how various cultures around the world are succumbing to—or resisting—modernity. Eugene Linden is the author of seven books, including The Winds of Change and The Parrot’s Lament And Other True Tales of Animal Intrigue, Intelligence, and Ingenuity. For many years, Linden wrote about global environmental issues for Time and has contributed to The New York Times, Foreign Affairs, National Geographic, The Wall Street Journal, The Atlantic, Fortune, and Slate. 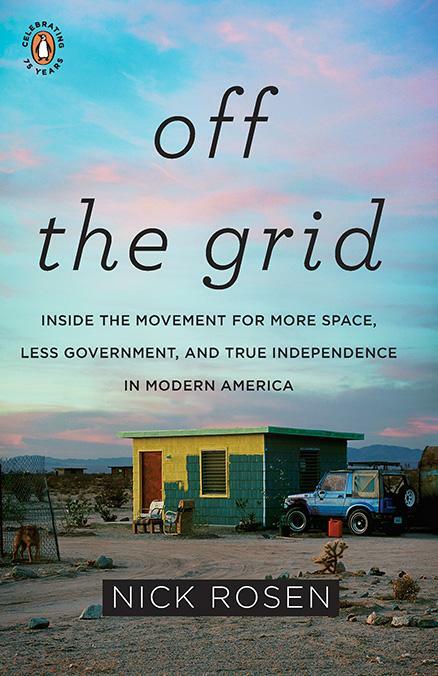 Off the Grid: Inside the Movement for More Space, Less Government, and True Independence in Modern AmericaBy Nick RosenI went off the grid seeking freedom and more space between myself and the system. I also wanted to save money. I do not think everyone ought to live off the grid. But I would like to make more people aware that living off the grid is an option.As I crisscrossed America visiting the publicity-shy, off-grid population, I encountered an unsatisfied, pent-up demand to live off-grid. Those who seek to live this way want to do so without obstacles like zoning, building permits, or social ostracism (all of which I encountered). I suspect most people consider using a composting toilet, for example, a fate worse than sleeping in their car. But for those on a limited budget, living off the grid appears to solve all sorts of problems., housing being the most immediate; there are no power or water bills, which reduces the amount of money one needs to live well. As long as one can afford the up-front payment for the equipment, one can live comfortably, use the latest gadgets, and avoid most of the hardships suffered by Sequoia’s generation. The main requirement is a change of mind-set. Americans are happy and proud to buy and use recycled toilet paper, but a composting toilet is another matter, a level most people won’t even think about. Most Americans are taught, or at the very least encouraged to believe, that homes must be a certain way. Well before the invention of TV, marketers pushed “ideal lifestyle” scenarios that included fridges and washing machines and electric gadgets of all kinds. The power companies, of course, subsidized the development and marketing of these products, and intentionally or not, dependence on the grid became a fact of life in America. Living in homes that are the exceptions to this rule are hippies and traditional back woodsmen (and women). The crunchy granola off-gridders—environmentalists and other anti-capitalists—are just part of the story. The other big off-the-grid grouping is made up of right-wing survivalists, veterans, and traditional good ol’ boys who were never on the grid in the first place. Like many millions of Americans, they are losing faith in the ability of the state to fulfill its basic functions—to prevent the strong from oppressing the weak and to regulate the markets. The final straw was the triumph of the “banksters” (and insurers and hedge-fund managers) in keeping their jobs, barring a few layoffs. It was quite a trick the financial community pulled, scamming the world for billions of dollars through the real estate bubble, and then hanging on to the money while the rest of the world scrabbled around to keep them solvent. The anger is still palpable, and off-grid real estate may be the only remaining answer for many. It sure beats shaking your fist at the TV set. I should point out that I am not an American. The collapse in trust, however, is global. With the global economy in danger, many believe that what’s needed is a glocal (global and local) solution. Reprinted by arrangement with Penguin, a member of Penguin Group (USA) Inc., from Off The Grid: Inside the Movement for More Space, Less Government, and True Independence in Modern America by Nick Rosen. Copyright © 2010 by Nick Rosen.